I have often been asked who creates PowerCLI and to pass on your appreciation to the people who have saved you so much time and effort. So after visiting Bulgaria on my way back from VMworld Barcelona I thought it would be nice to show you a recent picture of the PowerCLI Team who are located in Sofia, Bulgaria. Feel free to leave your comments to them as a comment on this post. 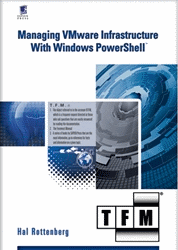 This entry was posted in General and tagged PowerCLI on October 16, 2012 by Alan Renouf. Awesome work guys! In my group discussion at VMworld 45 out of 50 people mentioned they use PowerCLI. Probably one of the most adopted tools. Thank you guys for making my life easier and my job more interesting! Keep up the great work boys and girls. It’s much appreciated what you are doing. PowerCLI is the best 🙂 easy to use and yet so powerful! Keep up the good work! I just want to say thank you. You folks have made my job much easier, and a whole lot more fun. When I started at my present position, nobody in my company was using PowerCLI. One day, my boss asked me to gather some information, expecting that I would have to go to each VM to collate it. Thanks to PowerCLI, I had the report for him just a couple of hours later, a full week earlier than he’d expected it. Needless to say, we’re now putting a lot more effort into our PowerCLI scripting! I would like to say thank you as well, I know alot of folks never get the praise they deserve, from all of us who are using the product. So from all of my team and I am sure a lot of other folks from around the world. Thank you as I said at VMWorld in CAL to both Alan & LucD thank you for all the help you both provide to all of us out here in the working world. It is great to see a collective group of folks from around the world working together to make something great.. Thank You!!! finefroghair, I am still laughing. You have some skills. :)[Un]contructive one, if they are dems shame on them as well. Unlike you, I have no love for any of these politrickster parties. I would like to say thank you very much for bringing us PowerCLI. This tool has saved hundreds of hours of manual work and is so easy to use. Great work guys!! My inventor is wanting to encourage me to go to .net from PHP. I’ve always disliked the theory due to expenditures. But he’s desiring nonetheless. I am using Movable-type on several websites for approximately twelve-monthly and am pressured about transitioning to another system. I’ve noticed top features of blogengine.net. Maybe there’s a way I really could duplicate all my WordPress articles engrossed? Any help would be cherished. At the moment, it seems like WordPress is the most well-liked blogging program available right now. (from what I’ve read) Could be the simple proven fact that what you’re using on your site? Great post, however, I have already been wondering if you might write a lttle little more after this subject material?